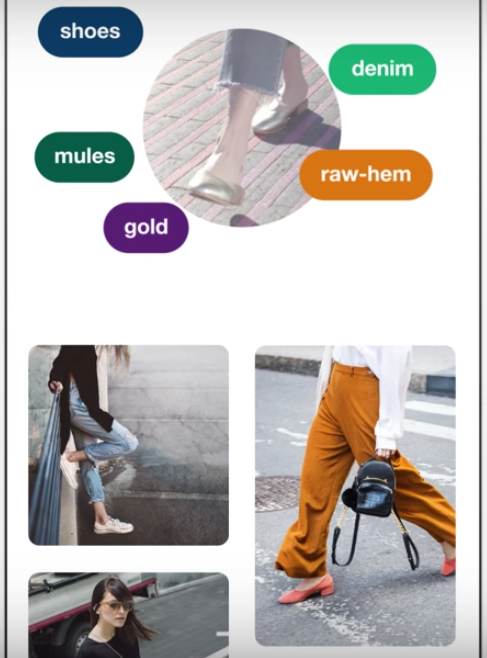 Pinterest just announced another substantial expansion of its search capabilities – new features that have the potential to make the site even more compelling for users and advertisers alike. 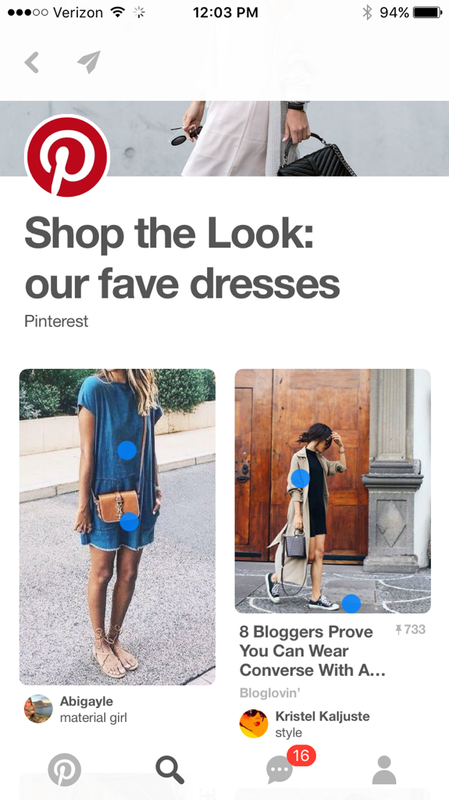 Pinterest unveiled three new features in one announcement. First, a user can expand any pin to show related pins right in their native feed. Nothing revolutionary; related pins are not a new feature, but this update does increase their accessibility by eliminating one extra click. Second, Pinterest announced “Shop the Look,” where specific items shown in images can easily be purchased with just a few clicks, without ever leaving the site. This feature could be an amazing tool for advertisers, but is currently limited to a small handful of brands, with no current announcements on offering similar capabilities to other users. Pinterest announced a Beta version of their new technology called Pinterest Lens. The feature will be built into the Pinterest app so “computer vision” will detect objects through a user’s phone camera. Once an object is detected, related images and searchable tags will pop up right on the screen. For now, only US-based users will have access to Pinterest Lens, which will appear as a red camera icon in the Search tab on the app. 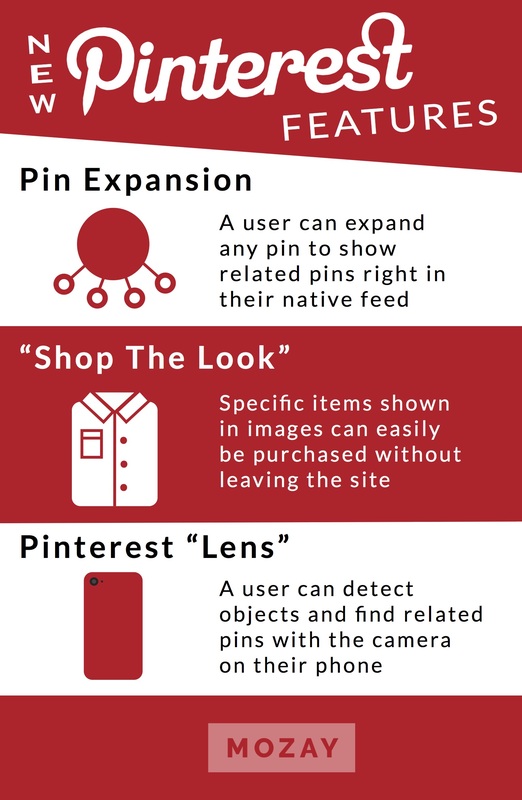 Pinterest Lens will be best for times when a user can’t put into words what they want to search. As Pinterest cofounder Evan Sharp describes, “It lets your eyes do the searching.” Pinterest Lens is like any other computer-learning AI technology: the more people use the feature, the better and more accurate search results will become. Although Pinterest Lens is not directly an advertising feature, marketers would certainly do well for themselves to see this as an advertising opportunity. If your brand already has a strong presence on the site, and you maintain strong visual brand coherency, then users who search for something similar to your product could very easily be shown your item as a related pin. Think of this: someone may use Pinterest Lens to take a picture of your competitor’s product, but as long as you already have good content on the site, it could be your pins, not your competitor’s, that pop up as related content. Furthermore, it’s easy to see how this technology will possibly grow as it becomes “smarter” to combine with the “Shop the Look” capabilities. 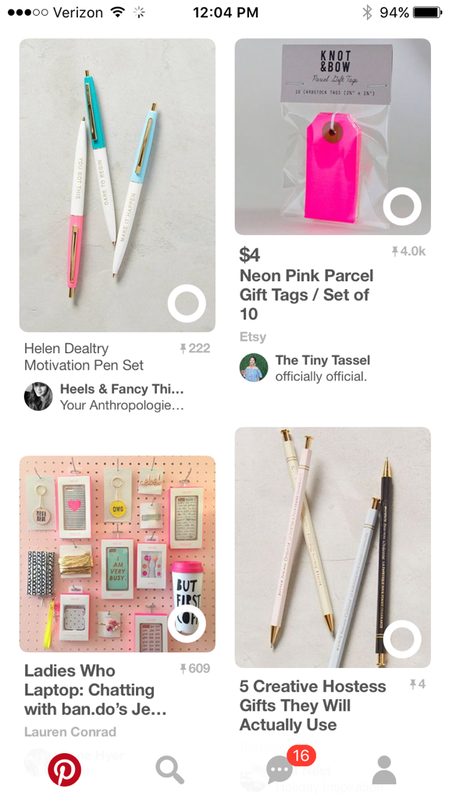 If a user sees and scans your product out in the real world, they may one day be able to scan it with Pinterest Lens and buy it straight from the app. What do you see coming from this new technology? 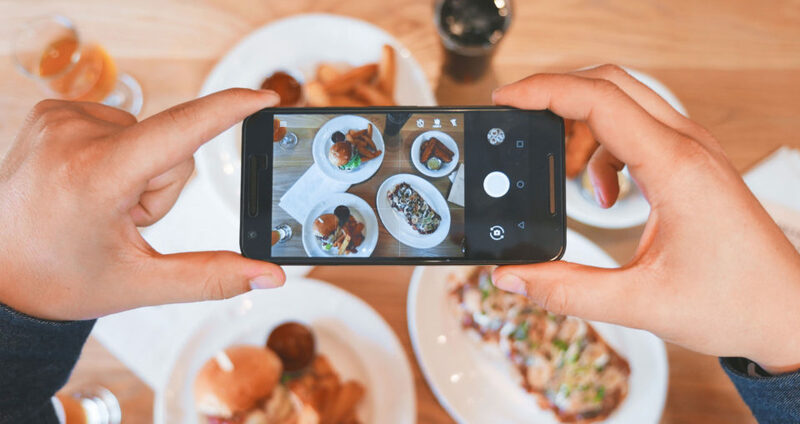 Do you think AI technology like Pinterest Lens may eventually help advertisers sell their products with greater ease and accessibility to users? We believe this advancement is worth getting excited about and are eager to watch the technology develop. Kyle is the vice president at MOZAY, LLC.